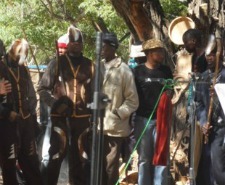 Botswana culture Day 2012 was commemorated on Monday 21st May 2012 in Good hope village within the Morolong sub-District. The event showcased the Barolong culture with emphasis on patlo or a process of seeking a marriage partner by conducting meetings between two sets of families. 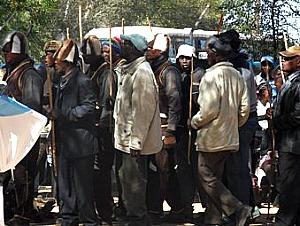 The process is influenced by the Bangwaketsi culture. 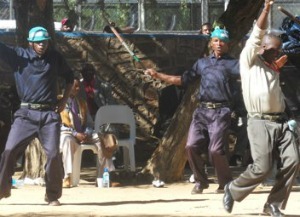 And the other cultural feature was the arrival home of the Bogwera or male initiation regiment from initiation training. Conducting the cultural day proceedings were the stalwarts Rre Duncan Marumoloa and Mme Zinzi Malebye, with activities starting at 0800hrs and concluding at 1400hrs with traditional dancing and singing. As it has been the case in the past, there were visiting cultural groups participating at the event as a form of cultural exchange. 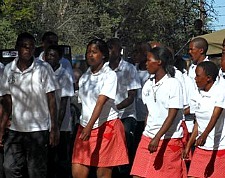 For local exchange a group from Satau in the Chobe area performed the Seperu dance. 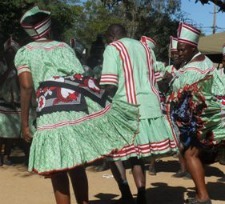 The group, having already qualified for the President's Day Competitions after winning the regional contest, displayed their unique dance that involves swinging the convoluted skirts to disclose colourful layers of folds sown inside, possibly mimicking a peacock. The seperu dance is mainly performed for celebrations and for the coronation of Chiefs. It also involves clapping hands and kneeling down on appearance of the chief. 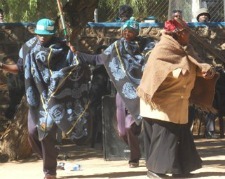 For international exchange Lesotho brought two groups to share Sesotho dance and music. 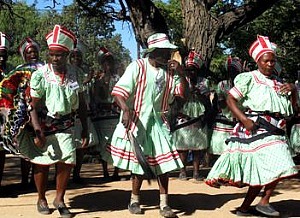 While one group of women performed mostly from a seated position, the male-dominated group of music and dance performed exquisite dance at high pace and energy. The dance excited the crowd and brought rapturous applause when the dancers made complex moves such as vigorously swinging one shoulder while the other shoulder stood still and the rest of the body performed a different move. The highlight of the day was the narration of the Barolong culture and history by Rre Batho Molema who premised his speech by making basic Setswana language explanations of words and expressions which have gradually been corrupted over time. For instance, he revealed that the sub-District for Barolong people should be referred to as Morolong. He also explained that the phrase 'to celebrate culture' has been wrongly translated to go keteka ngwao, when the correct version should be go ipelela letsatsi la ngwao. 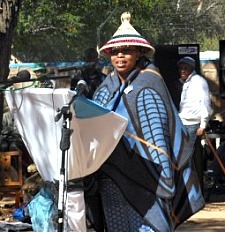 Rre Molema shared the history and genealogy of the Barolong people, as having been started in the late 17th century from rulers Morolong, Nato, Morara, Mabe and Mabudi in that order. 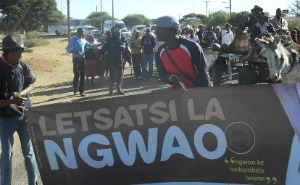 The public was later treated to local cuisine prepared at the Kgotla or village court,and some served in the local senior secondary school hall.